Welcome to the Pour Moi Cosmetic Clinic. We are a specialist cosmetic clinic serving the Bournemouth and Poole areas of Dorset, with a particular expertise in dermal fillers. Bournemouth clients choose us due to our reputation and professional service and great results. Led by Dr Awad who has 25 years of experience as a practitioner, we are based in the Canford Cliffs area, and are open to new clients via pre-booked appointments only. If you would like to make an appointment, or just wish to talk to us about dermal fillers, then please click here to contact us, or make a booking. Click the following links to explore the full range of derma fillers we offer in Bournemouth and Poole. As a long-established and reputable practitioner, Dr Awad offers free consultations to anybody living or working in the local area who would like to find out more about these types of procedure. Dermal fillers are one of the more popular wrinkle treatments available in the UK, with the Pour Moi Cosmetic Clinic of Bournemouth and Poole being one of the leading local clinics. These types of treatment help to soften facial lines, wrinkles, laughter lines, and wrinkles on the face which have appeared over time or due to exposure to the sun, age, and gravity. In terms of how we work, a little local anaesthetic is used, and the dermal fillers are then injected into the skin restoring the beautification triangular shape of the face. The results can help to give your face a rejuvenated look, with natural volume and youthful looking skin. 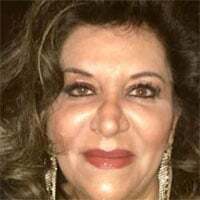 Dr Awad is the Managing Director of Pour Vous UK Ltd T/a Pour Moi Cosmetic Clinic with over twenty years relevant experience.